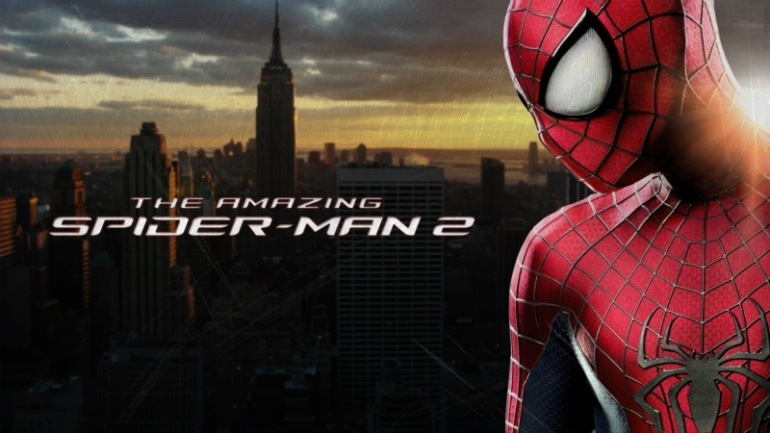 Amazing Spider-man 2 or How I learned to stop caring and love the grit. The film plays like a rock and roll record. Adventure, excitement, romance and intrigue abound as each scene plays out almost unrelated to each other were it not for the the three or four fragmented story lines meant to give us glimpses into future films. Marc Webb directs his second outing with this incarnation of the web slinging super hero with Andrew Garfield and Emma Stone reprising their roles as Peter Parker and Gwen Stacey. The chemistry between these two is electric. They sell the romance of the film almost as well as Christopher Reeve and Margot Kidder in the original Superman film. Each scene of the film is amazingly executed and acted but unfortunately the film tries to do to much with not enough running time and probably should have been longer and split into two movies.This film juggles three different story lines that suffer from abrupt pacing while a few scenes do seem shoe horned in to setup future spin offs. Given the disjointed structure and rushed nature of the film each scene feels more like an episode at times rather than scenes from a movie. This truly is a minor complaint as I was never really taken out of the film. This is due largely to Garfield and Stone giving spellbinding performances that tie the entire piece together. The rousing score by Hans Zimmer does a remarkable job of tugging on the necessary heart strings that each battle, both physical and emotional, need to resonate. Jamie Foxx does an admirable job with such an underwritten part as the misunderstood villian Electro. Even though the trailers would have us believe he is the main baddie of the film he is relegated to henchman once Dane Dehaan’s Harry Osborne enters the picture and takes his place as the new Green Goblin. Even though he doesn’t spend much time in the guise of the super villian, Osborne does have a marginally more complete character arc than Electro. Never the less the battles are tense and exciting and had this reviewer on the edge of his seat. There was never a moment when I was not emotionally invested in the plight of Peter Parker and his quest to find where he fits in a world gone mad. The climax of the movie will leave those who have been completely taken in by the adventure reeling and emotionally drained as tragedy strikes the Spider-Man universe in a gut wrenching way. I defy anyone to watch the final moments of this movie and not feel an overwhelming sense of hope and awe as our friendly neighborhood web slinger goes into battle in a closing shot reminiscent of Rocky III. This entry was posted in comic books, Movies, reviews and tagged Andrew Garfield, comic books, Emma Stone, movies, spiderman, stan lee. Bookmark the permalink.